New York: Popping common over-the-counter pills for controlling stomach acid, gas and heartburn daily may put you at chronic kidney disease risk in the long run, a team from Johns Hopkins University, Baltimore, and others have cautioned. Most commonly prescribed pills like Omeprazole, Rabeprazole and Pantoprazole, which come under the group called proton pump inhibitors (PPIs), appear to be associated with an increased risk of chronic kidney disease, warn the researchers. 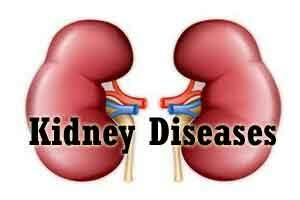 They, however, say that more research is needed to determine whether PPI use causes kidney damage. “Our study is observational and does not provide evidence of causality. However, a causal relationship between PPI use and CKD could have a considerable public health effect given the widespread extent of use,” the authors noted in an article published online by the journal JAMA Internal Medicine. The findings suggest that up to 70 percent of these prescriptions are without indication and that 25 percent of long-term PPI users could discontinue therapy without developing symptoms. “Indeed, there are already calls for the reduction of unnecessary use of PPIs,” the study noted. For the study, Morgan E. Grams from Johns Hopkins and co-authors quantified the association between PPI use and incident CKD in the general population using data on self-reported PPI use in the Atherosclerosis Risk in Communities (ARIC) study. In the ARIC group, there were 56 incident CKD events among 322 baseline PPI users (14.2 per 1,000-person years) and 1,382 events among 10,160 baseline nonusers (10.7 per 1,000 person-years). PPI use was associated with risk of incident CKD in unadjusted and adjusted analyses. The 10-year estimated absolute risk of CKD among the 322 baseline PPI users was 11.8 percent while the expected risk had they not used PPIs was 8.5 percent, according to the results. The authors, however, note that participants who are prescribed PPIs may be at higher risk of CKD for reasons unrelated to their PPI use.